Pictured (L-R): ASCAP’s Michael Martin and Beth Brinker, “Seein’ Red” No. 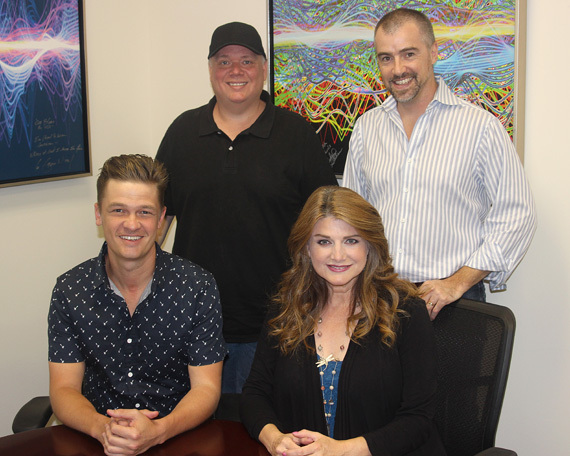 1 co-writers Jason Sever and Kurt Allison, and ASCAP’s Mike Sistad. 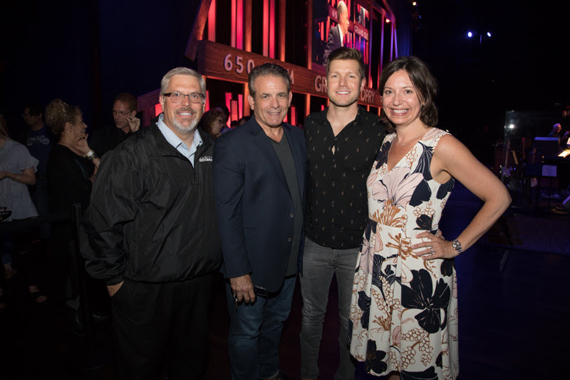 ASCAP officially welcomed summer with the debut of its new first-time No. 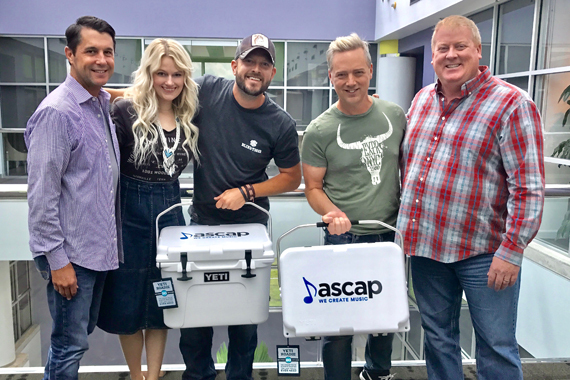 1 songwriter gift, a custom ASCAP-branded YETI Roadie cooler. Now, each freshly minted chart-topping writer will receive one of the new ASCAP YETI Roadies on stage at No. 1 celebrations. 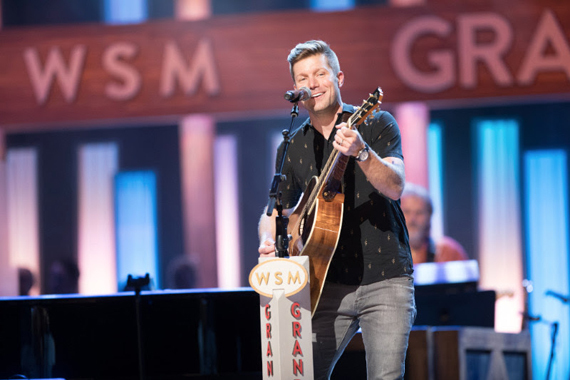 Black River Entertainment’s Jacob Davis made his Grand Ole Opry debut last Friday night (June 23). Davis performed “What I Wanna Be,” the debut single off his forth-coming album, as well as his soulful tune “James Brown,” which was accompanied by horns. Pictured (L-R): Nick Martin (Big River Broadcasting/WXFL), Michael Hall (Levon), Tim Roberts (WYCD), Becky Brenner (Albright & O’Malley & Brenner), Ryan Holladay (Levon), Jake Singleton (Levon), Bill Mayne (CRB), Charlie Morgan (Emmis), Joel Raab (Joel Raab Coutry Radio Media), JR Schumann (Sirius XM). 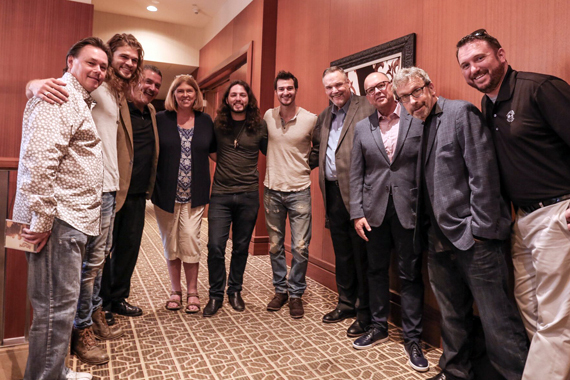 Country group Levon recently performed at a breakfast for the CRB Board of Directors and the CRB Agenda Committee. Singer/songwriter Sylvia has signed an exclusive agreement with Nashville based ArtistLive Agency for booking representation. Sylvia and her team will work closely with ArtistLive Agency’s president, Deric Brown, for future shows and appearances. Sylvia is hitting the road in support of her latest album It’s All In The Family, which was released in late 2016.